Beatriz Ball's distinctive large PEARL Denisse Bowl is as useful as it is beautiful. 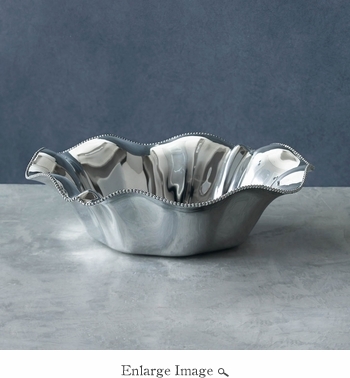 With a rim enlivened by a delicate pattern of beads, the bowl is an essential for entertaining. A versatile and unique gift of decorative metal that is ideal for serving a variety of foods in style. Made of a top quality, FDA safe, easy-care, oven and freezer friendly aluminum alloy.